Patients who are pressed for time, can get their dental work done in one day, at an affiliated clinic of the Mexico Dental Network. This is only possible, because the Network is now putting in place an in-house dental lab, which is dedicated primarily to the Network’s patients. According to Dra Gabriella Torres, Admin for MDN, “One of the first questions that patients ask when they call us, is “How much time will I need to be there?” They are concerned whether it is worth the hassle to go to Mexico for dental treatments. When they do the math, yes, treatment in Mexico is certainly much cheaper. But the patients need to factor in how much time they will need to take off work, travel, and stay in a hotel. Even patients that are coming from San Diego, or Los Angeles, would like to avoid extra trips, if possible. But now, with an in-house dental lab, the process can be greatly accelerated. First, the patient must come in for an early appointment. The teeth must be prepped and scanned before 12:00 pm. The patients need to be at the clinic for an 9:00 am appointment. Second, the limit for same day crowns or veneers is 8 teeth. If a patient wants up to 16 crowns or veneers, the time needed will be until the afternoon of the following day. 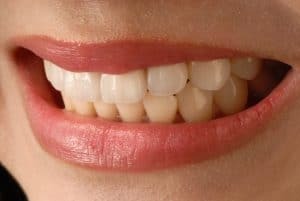 If it is a full smile makeover of 16 to 28 crowns, the time needed will be 3 to 4 days, because the scan of the teeth needs to include both arches, and usually the dentist doesn’t prep more than 14 teeth in a day. Once the teeth are prepped, the dentist will take a scan of the whole mouth with an intra-oral laser scanner. The file is sent to the technician, who will design the crowns on the computer cad-cam program. He will then mill the crowns or veneers, then finish them in the kiln. He can design and mill 4 to 5 crowns in an hour. Once all the crowns are ready, he will place the orders that are being expedited in the kiln, and fire them for 2 hours. By late afternoon, all the expedited work that came in that morning, will be ready. The crowns that are sent to the technician in the afternoon, will be ready for the next day. The advantages to the patients of having an in-house lab is the speed and better precision in the dental work. There is very good communication between the dentist, and the lab tech, unlike when an outside lab is used, and communication is by phone. Now, the lab tech and dentist, can literally put their heads together. When a patient comes in the morning, he can leave with a new smile in the afternoon, which will the hours of travel time and days off from work, because they won’t have to come back. Also, the patient can see the smile design, before the crowns are made, and can ask for personal adjustments. The dentists in Tijuana, are now entering a new age of high technology, and the ones who get the maximum benefit are the patients. Better work, and faster turn around time, makes everyone a winner. PreviousPrevious post:TEN FUN WAYS TO PASS THE TIME IN TIJUANA, when you come for dental workNextNext post:Dental Tourism has helped thousands to leave Mexico with a smile on their face!